Picturesque countryside, rolling farmlands, boutique wineries and charming villages – Daylesford has it all. Here, we take a look at this beautiful part of Victoria in detail, pointing out all the highlights you can find on a Daylesford day trip. How far is Daylesford from Melbourne? Daylesford, in the heart of Victoria’s beautiful Macedon wine region, is approximately 90 minutes’ drive from the city of Melbourne. If you are wondering how to get to Daylesford from Melbourne, we recommend taking the journey by road, as it takes you on a scenic route through gentle countryside and a number of picturesque Victorian villages. The journey itself is a great opportunity to acquaint yourself with the truly lovely scenery this region is renowned for. Daylesford and the wider Macedon Ranges region offer a wide variety of sights to see and things to do. 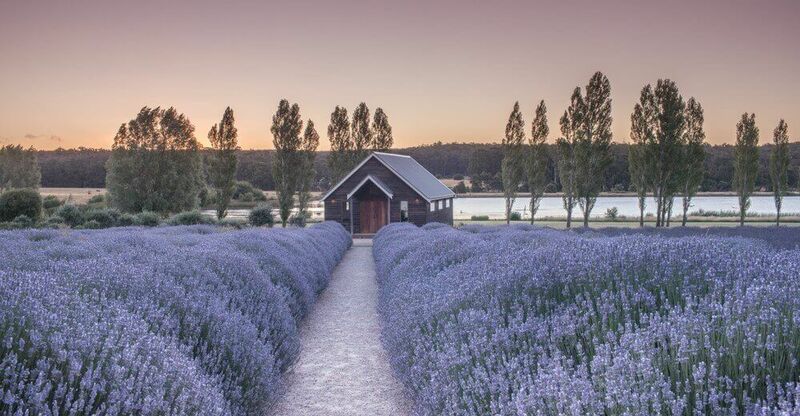 Let’s explore some of the standout attractions you can expect to enjoy on a visit to Daylesford. Daylesford winery tours are a highlight of the area for many visitors. The Macedon region is known for its plethora of vineyards set in beautiful countryside, and the region produces some of Australia’s finest wine offerings. It is particularly renowned for the quality of the Pinot Noir and Chardonnay, as well as for a variety of sparkling wines which are ideal for celebrations. The local wineries are mostly boutique, family-owned businesses, many of which still produce their wines using original methods, carrying on traditions that have been passed down for many generations. They are extremely proud of their products, with good reason, and it is always worth stopping at the cellar door, where you will be able to sample some of the excellent wines produced in this idyllic part of the world. It’s no wonder that Daylesford wine tours are so popular with visitors to the region! If you’re looking for the perfect way to relax and unwind, a Daylesford day trip gives you the perfect opportunity. 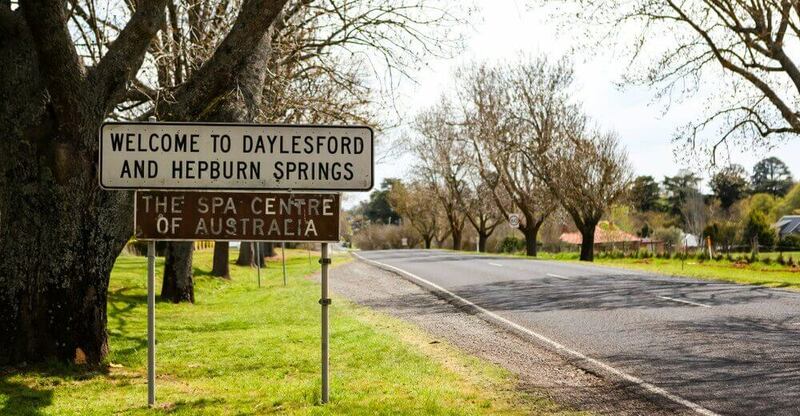 Daylesford and Hepburn Springs contain the greatest concentration of natural mineral springs anywhere in Australia. The towns of Daylesford and Hepburn Springs were largely built around these natural features, and the region owes a lot of its popularity to the numerous visitors who want to enjoy a mineral spa in Melbourne, as the close proximity of Daylesford to the city makes it the ideal destination for relaxation and rejuvenation. This region dominates among private spas in Melbourne, and many visitors flock here each year to find peace, tranquillity and stress-free times in a beautiful setting. The Bathhouse in Hepburn Springs is a particularly popular spa destination. It was originally established in 1895, and visitors have been coming here to enjoy the energising experience of mineral bathing ever since. Today, the Bathhouse contains two complementary bathing experiences, with a wide variety of spa treatments also available. The charming town of Kyneton is a regular favourite when it comes to Daylesford sightseeing. Renowned for its arts and culture scene, Kyneton offers plenty for visitors to explore, including historic Piper Street with its abundance of fascinating shops selling exclusive clothing, jewellery, homewares and antiques. As you wander the streets here, you are surrounded by picturesque buildings dating back to the 1850s, offering an insight into how life in the town must have been in times gone by. Kyneton is also renowned for the outstanding quality of its dining experiences. 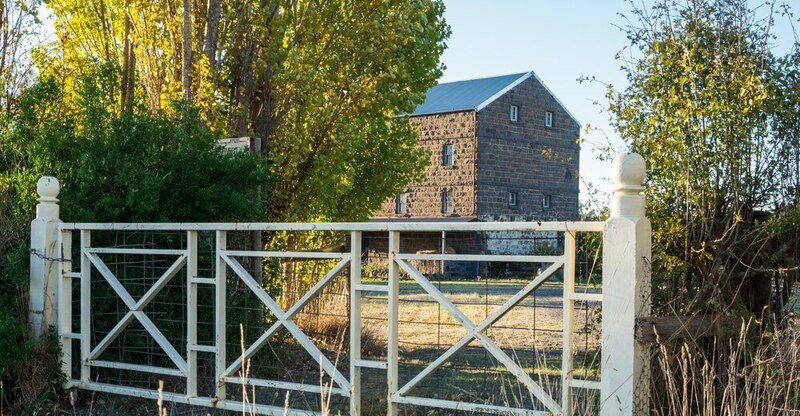 The award-winning restaurants and bakeries, and the abundance of local wineries and gin distilleries make Kyneton an ideal place for eating and drinking. And if you love the local produce you try, there are plenty of opportunities to attend the famous cookery schools located here, where highly experienced chefs teach you how to recreate some of the delicious dishes on offer in the local eateries. While in Kyneton, it is also worth paying a visit to the Kyneton Museum, which explores the history of the region and contains some excellent examples of historical Victorian dress. To round off your visit, you can take a relaxing stroll through the Kyneton Botanic Gardens, a popular local recreation spot since its opening in 1866. No visit to Daylesford would be complete without taking in the majestic sight of Hanging Rock. 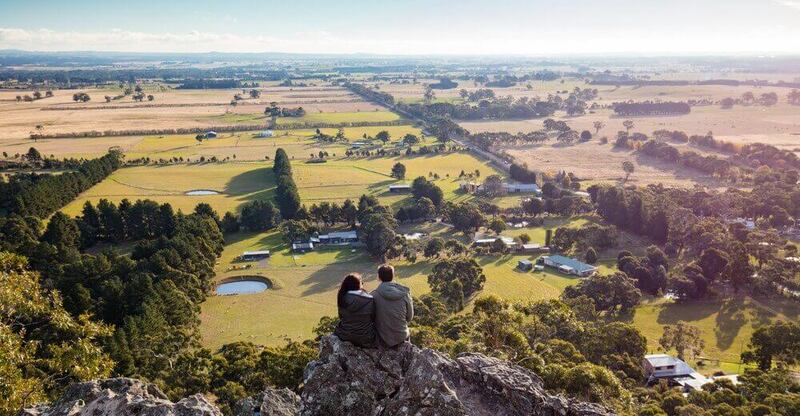 This highly distinctive volcanic rock formation dominates the skyline here, and its wider cultural significance makes it an essential stop on any Daylesford day trip. The bestselling novel, Picnic at Hanging Rock, and the subsequent film and television series, put this landmark on the international map, and it is now one of the major attractions for visitors to the region. However, this was not the beginning of the story, and Hanging Rock was revered for thousands of years by Aboriginal people before they were driven out by European settlers. As a result, it also has a unique place in indigenous Australian history and culture. 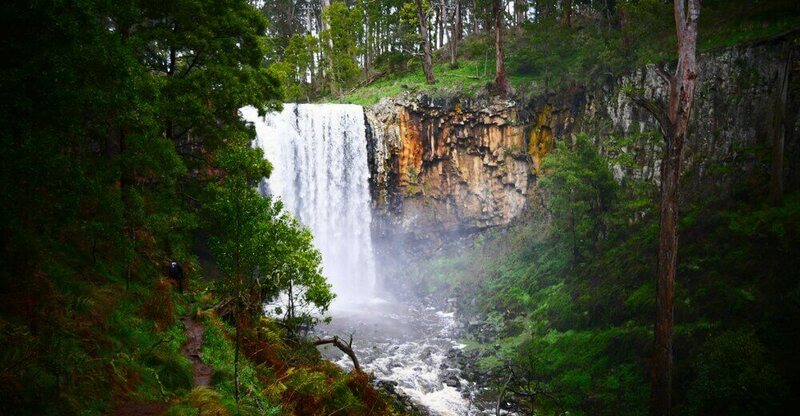 As Victoria’s longest single-drop waterfall, with a height of 32 metres, Trentham Falls is an impressive sight to behold. It is located in the beautiful Coliban River Scenic Reserve, which was established to protect the many native species of vegetation that grow in this fertile region. These attractive plants and trees provide a stunning setting which makes the Falls appear all the more spectacular. You can take in the scene to best effect from the viewing platform here, which is located a short walk from the car park. While in Trentham, you can also pay a visit to the historic RedBeard Bakery. Rated by many internationally-renowned chefs as one of the best bakeries in the world, the RedBeard Bakery has won multiple awards for its traditional sourdough and the authentic, sustainable baking methods it uses. Part of this is due to the long history of the bakery, as the sourdough is made using the same Scotch oven which has been in the bakery since its very beginnings. A bakery has stood on this site since 1891, and despite a dormant period in the 1980s and 90s, it is now more popular and successful than ever. The renovated bakery now includes a café and a viewing window, where you can watch the bakers using the traditional oven. Behind-the-scenes tours are available, enabling you to find out more about the history of the building and the baking processes used, and you can also attend one of the baking workshops regularly held here, so you can discover the secrets of creating this delicious sourdough for yourself. The Convent Gallery is renowned throughout Victoria as one of the best art galleries in the state. It is a beautiful exhibition space which features a wide range of local, national and international art by emerging and established artists. However, it was not always an art gallery at all. Originally built during the Gold Rush of the 1860s, the building was used as a convent for almost a century before falling into disrepair. Through the vision of one artist, the building was restored and renovated to become the famous gallery we know today. However, some areas of the building have been preserved in their original state, so visitors can get a taste of what life was like in the convent. The Coach House is probably the most iconic building in the whole of Daylesford. Constructed in around 1854, it has been lovingly preserved as an excellent example of the grand architecture of the period. This impressive structure is surrounded by beautiful gardens on the banks of Lake Daylesford, offering some of the best possible views over the lake. The house itself is now a hotel, and it is conveniently situated close to some of the most famous restaurants in the area, including the award-winning Lake House. 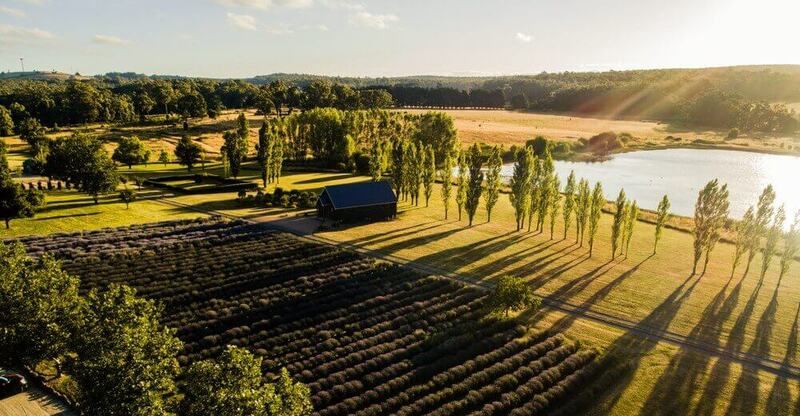 This provides an ideal opportunity for you to spend some time relaxing with a stunning view overlooking Lake Daylesford, while sampling some of the finest cuisine the region has to offer. Daylesford and the wider Macedon region offer a wealth of attractions for visitors of all ages. If you are only here on a Daylesford day trip, it can be difficult to see the places which are of most interest to you, as most tours will show you the main sights without taking your own personal preferences into account. However, it is possible to have a Daylesford sightseeing tour tailored to cater for the specific interests you and your travelling companions have. At Melbourne Private Tours, we believe in treating every client as an individual. While we endeavour to show you the highlights of the region, we want to know what you want to see. We are happy to tailor every itinerary so you can visit the places which interest you the most, all with a professional tour guide who can offer you fascinating information and insights about each landmark you visit and the wider region as a whole. All day trips begin and end in Melbourne, where you will be collected in a luxury vehicle which will enable you to explore beautiful Daylesford in style and comfort. If this sounds like the way you would like to visit Daylesford, please contact us, and we will be happy to tailor a special itinerary just for you.